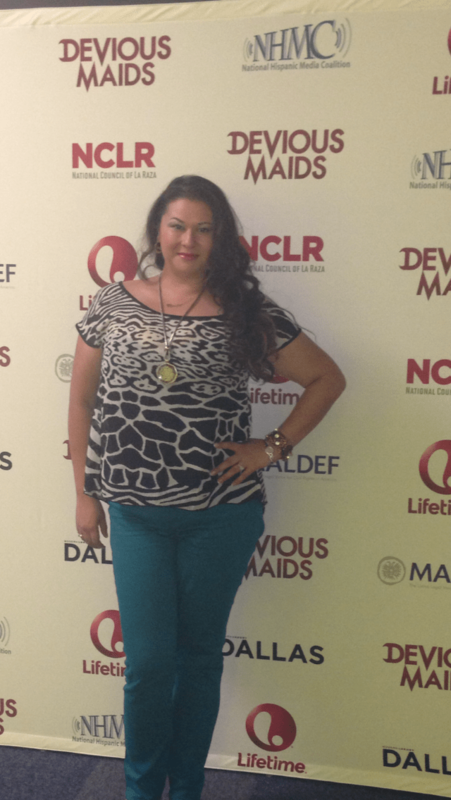 I had the opportunity to meet and greet two of the stars of Devious Maids this month during the Dallas premier. The comedy-drama T.V. show is executive produced by Marc Cherry who also produced Desperate Housewives and Eva Longoria. The series also stars five Latinas: Ana Ortiz, Dania Ramirez, Roselyn Sánchez, Judy Reyes and newcomer Edy Ganem, and premiers this Sunday, June 23,2013 on Lifetime. 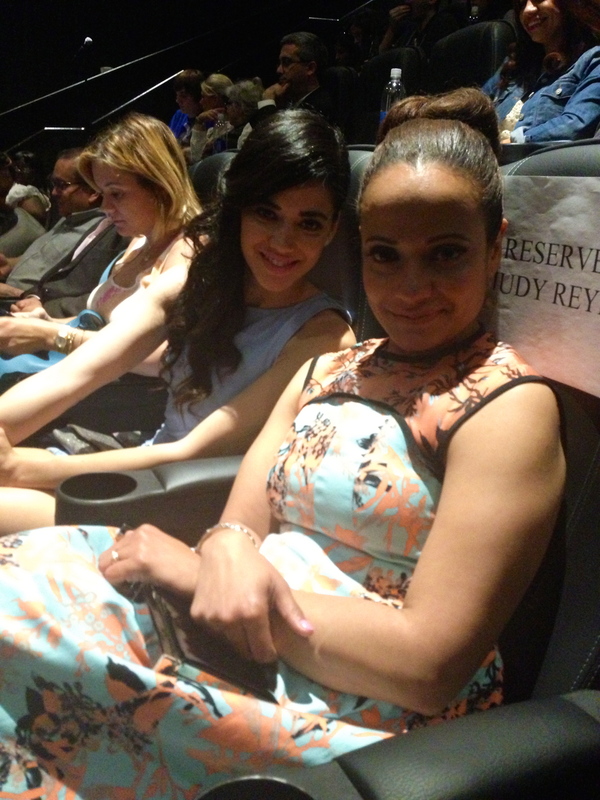 Judy Reyes who plays “Zoila Diaz” and Edy Ganem who plays Zoila’s daugter, “Valentia Diaz are the two lovely ladies I got to meet and interview (Video coming soon in Part 2). I was excited to hear about this event because even though I had already gotten a sneak peek at the show online, I was curious to see what how the crowd at the premier held at LOOK Cinemas in Addison would react to it. See, there has been controversy over this show. There are many opinions out there but the two key conversations are either love or hate. Some (mostly women) express that they are “disgusted” with a show that portrays Latinos in a stereotypical fashion (maids). Others are beaming out excitement that history is happening with this show because all of the main stars are Latinas and the cherry on top (pun-intended) is that the show is also co-produced by Latina darling, Eva Longoria. Personally, I have to admit that when I first heard the title, my eyebrow lifted. I wrote essays upon essays in graduate school about the negative portrayal of Latinos in media so I immediately thought of this show as another probable example of such work. But, my diplomatic thought process and marketing background quickly made room for curiosity. I wanted to see what the show was about. In fact, when I spoke to actress Judy Reyes, she held nothing back. Reyes like me also rolled her eyes when she first heard the title of the T.V. show. She almost didn’t go for it but decided to at least read the script. Once she saw the depth of the character’s (maids) stories, she had a change of heart. I actually think some of the critics that are bad-mouthing the show would feel the same way if they actually took the time to watch it versus jumping on the hater bandwagon prematurely. The show is actually pretty entertaining. The acting is great and there is a good mix of new actors as well as some seasoned performers. 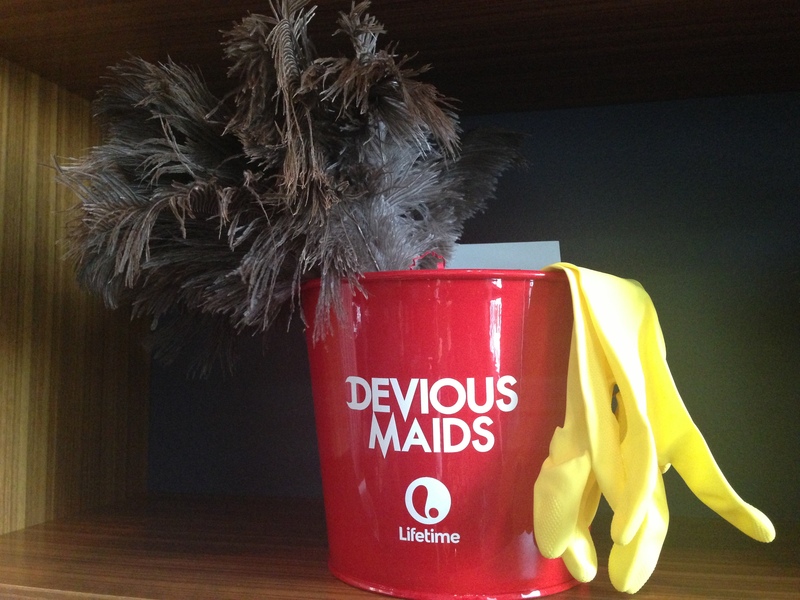 Yes, maids are stereotypes but stereotypes are born from truths. Yes, Eva Longoria should help put Latinas in less stereotypical roles. But, this isn’t her show. Not really. She does play a big role in the direction of the characters, as an advising executive but the characters are maids regardless; the TV show stems from a Spanish Telenovela and it that program, they were maids. Now, what will be interesting is how the stories develop. As for the stars of the show, if I were an actress, and got the lead role in a T.V. series with such talent behind it, I would probably take it. 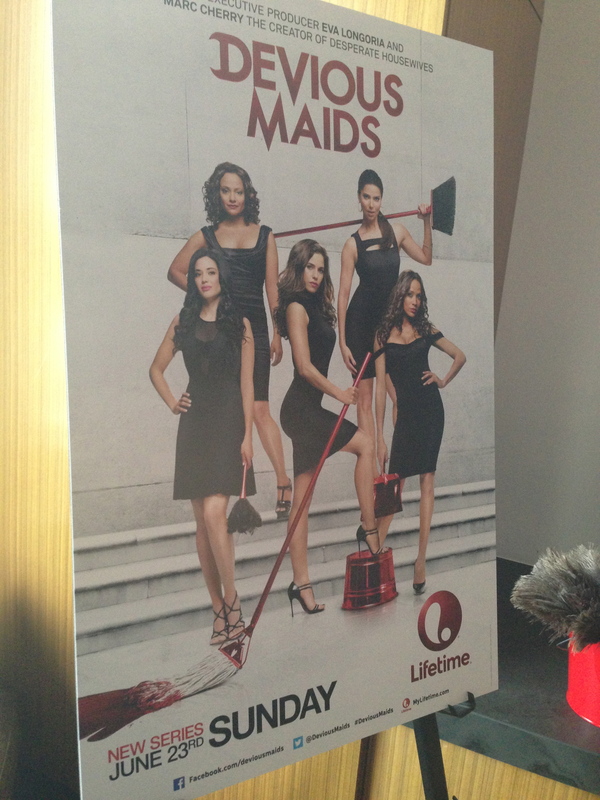 It would be my job to act so why not a show like Devious Maids? Now, that said, I can respect those that are adamant about their decision to not support the show especially if they have a solid argument and more importantly, perspective. Take successful, Latina author Alisa Valdes-Rodriguez who is currently working on self-funding a film version of her book, “The Dirty Girls Social Club.” She is self-funding because the industry big wigs that were interested in brining her book to the big and/or little screen, wanted to completely change her characters and make them more Latino…as in stereotypical Latinos. Alisa did not want to sell out her story so she took the harder road and is not working on getting one million Latinas to pledge $1 each to help fund the film. What I have to say I really like about Devious Maids is this. The conversation it has created. Bloggers are talking about it. The media is talking about it. Scholars are talking about it. It is creating a buzz around the topic of Latinos in media and that is a positive thing. Whether you are for or against the show, you are helping the movement by voicing your opinion. I hope Alisa gets her $1 million. In fact, I plan on pledging my part for Dirty Girls Social Club the movie. I hope Devious Maids is a success and keeps five amazing actresses employed and inspired to write, direct and produce their own projects. Will I change my opinion down the road? Maybe. Knowledge and experience have a way about changing perspective. But today, this is what I think. What’s your take? Will you tune in to Lifetime this Sunday, June 23? Thank you! Maybe one day 🙂 and you’ll be part of it for sure.